Hello everyone, Gabriela here showcasing this month's Club Q and before I get into my project, let me talk about the greatness of the kits. 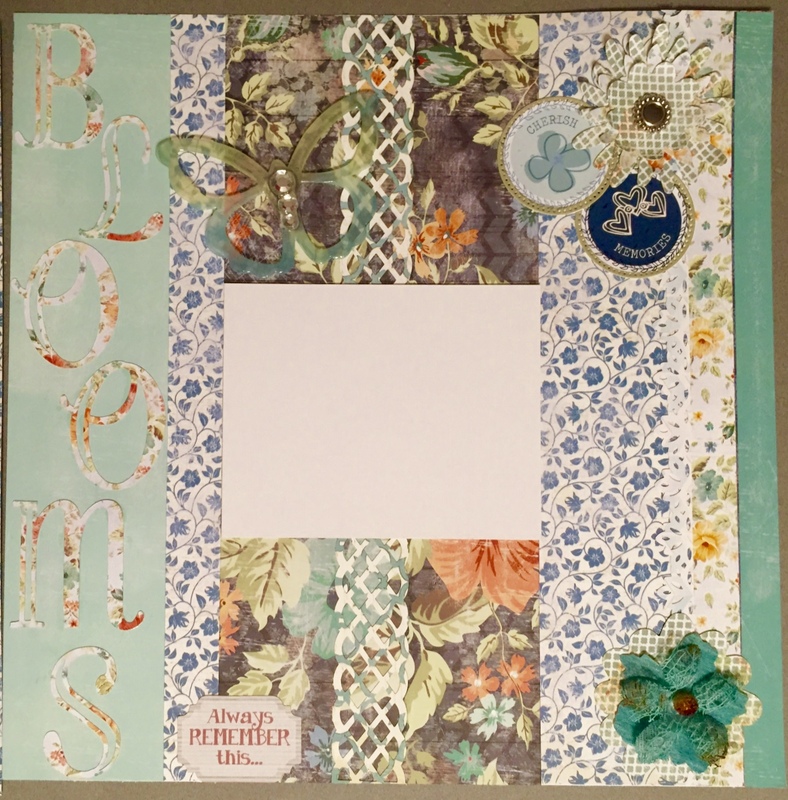 I received a nice variety of papers and embellishments as well as a package of Petaloo flowers. 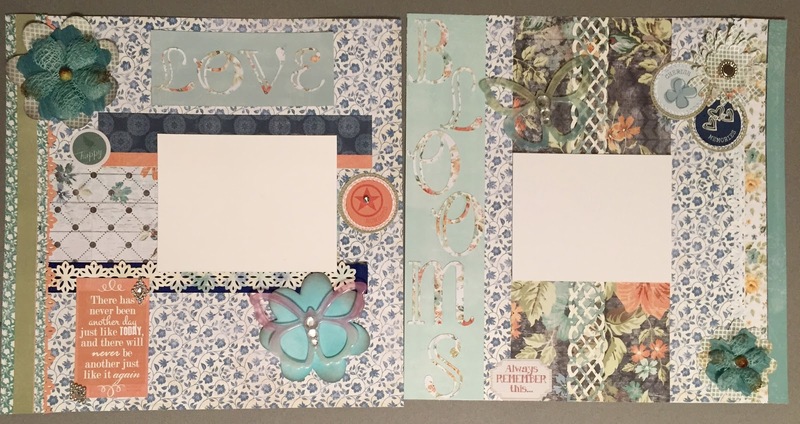 There was even a set of full instructions for making an Altered project, just a really robust kit with some nice ideas and it was great to see the paper collections paired in ways I might not have thought of on my own. One of the things I couldn't wait to use was the blinged butterflies, they were wonderful on their own, but I wanted to add a little chalking ink to them to make them more visible. I used chalking inks to color the butterflies and then added glossy accents to "seal" the color in, this requires allowing it to dry overnight, but I think the results were worth the wait. You can also ink from the back and use immediately. 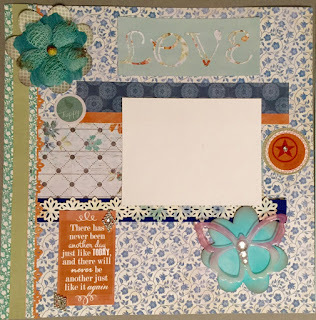 Next I decided to go with a theme of "Love Blooms" for a double page layout. 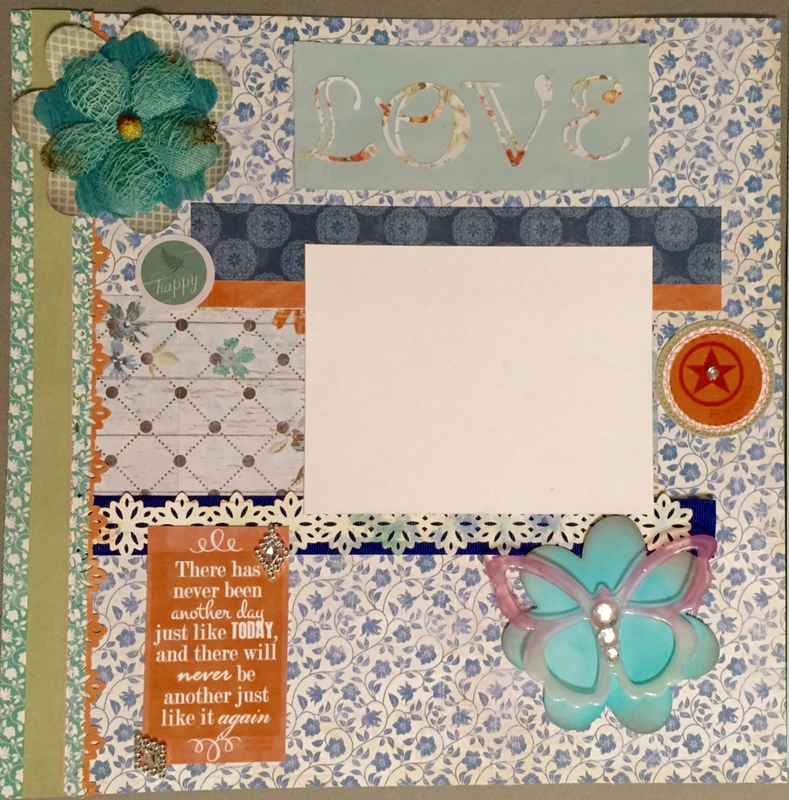 I proceeded to build my page around my butterflies and flowers and even created a few additional paper flowers to help fill out the pages. 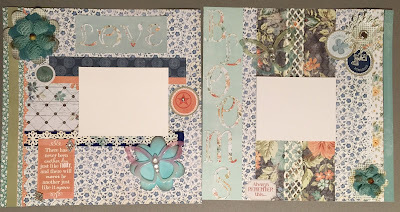 I also did some edge punches with the paper to create borders for both sides of the layout. 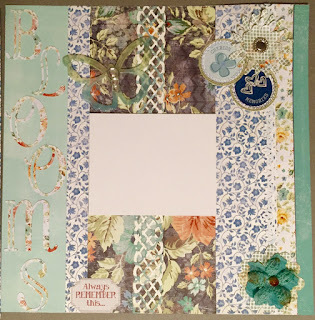 The finished layout will have pictures from a Botanic Garden tour on the white spaces but you could really put any photos you like in the layout. I hope you have as much fun with your Club Q as I did and happy crafting! adorable butterflies and fun products ..